Hair performs a big role in a person’s personality. A woman having long and beautiful hair looks awesome in even simple dress. A man having average growth of hair feels good in party. But when a person is having some hair loose problem feels uncomfortable even in good clothes. Here we have excellent news for residents of Bringham, who are suffering from acute hair loss problem. Now you can easily avail the problem of hair loss with treatment and therapy in Bringham to get rid of this health issue on permanent basis. Hair loss has become a big problem in our routing life. As the people has become more health conscious and following little diet in routine life, they are facing lack of proteins and vitamins and so hair will not get proper nutrition’s and will fall down. This is not the only reason for hair loss; actually there are several reasons for Hair loss. Hair loss is a very common condition that just not only affects the scalp but sometimes the entire body. There are several causes of hair loss such as hormonal changes, stress, insomnia, medications, heredity or medical conditions. 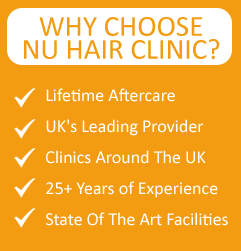 Men, women and children anyone can experience hair loss. Hair fall leads to total or partial baldness that is a serious matter and must be attended instantly. Some types of hair loss are temporary, and others are permanent. An average adult head has about 150,000 to 100,000 hairs and loses up to 100 of them a day. However, abnormal hair loss can happen in a number of ways where you may notice dramatic clumps falling out or hair may thin slowly over time. Any accident, severe illness, surgery, etc. Blood thinners and medicines that treat depression, heart disease, etc.